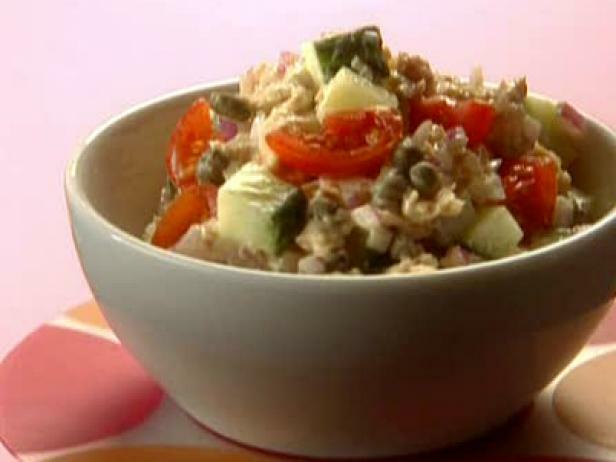 Choose from this collection of Food Network's most popular salmon salad recipes for the latest catch of the day. 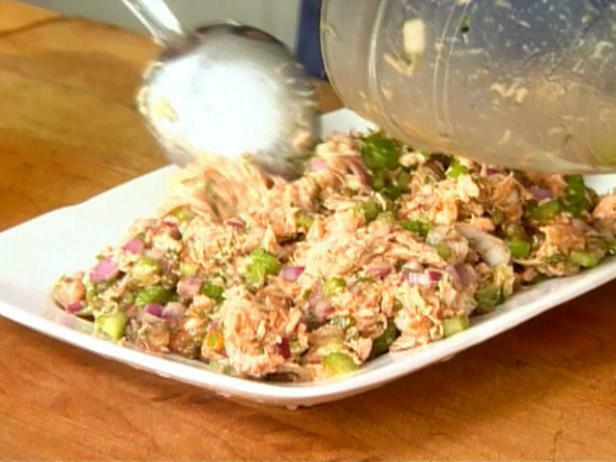 This salmon salad is seasoned to perfection and makes for a great picnic side dish. Dijon and cream cheese give this salad the perfect creamy texture. 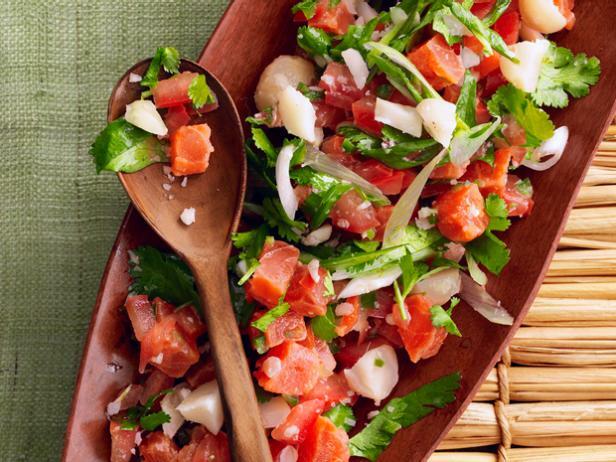 This traditional Hawaiin dish is elegant and refreshing.